When my grandmother was dying she took off a couple of her rings and gave them to me. Sadly, I was an irresponsible teenager and lost them somewhere between school and home. I was devastated and looked for hours in any grassy patch I could find but they were never to be found. They were gone forever. 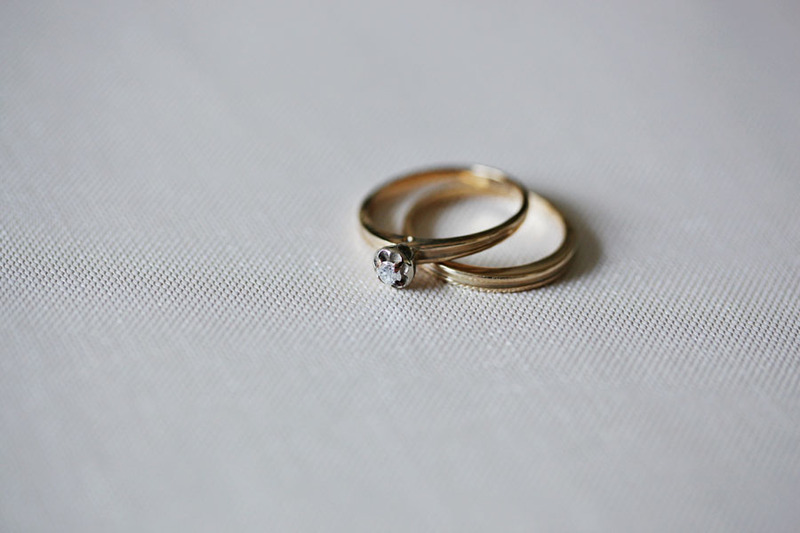 10 years later when I was about to get married, my father gave me my grandmother’s wedding rings. I had completely forgotten that he had them. I made sure I guarded them and kept them safe in my jewelry box. They mean a lot to my dad and that makes them mean more to me. They’re not really something I would wear and to be honest I would be scared to anyway, considering my last experience with wearing her jewelry, but I knew I didn’t want them sitting in a box anymore. I had a stroke of genius when planning for a skeleton key project. 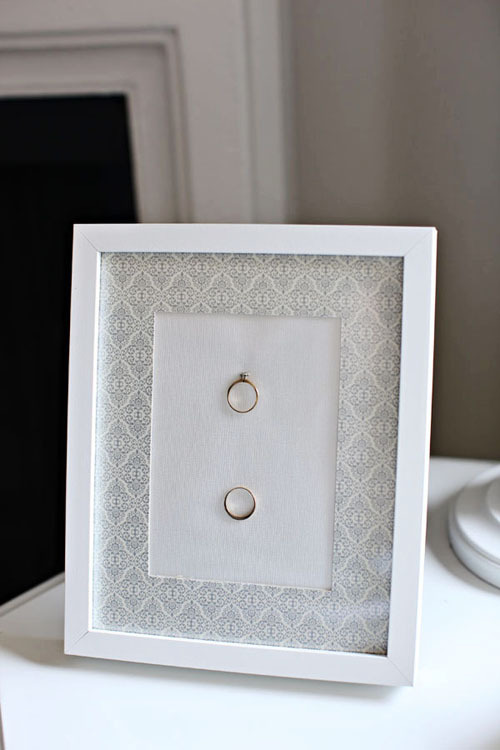 I decided I was going to frame my grandmother’s wedding rings! 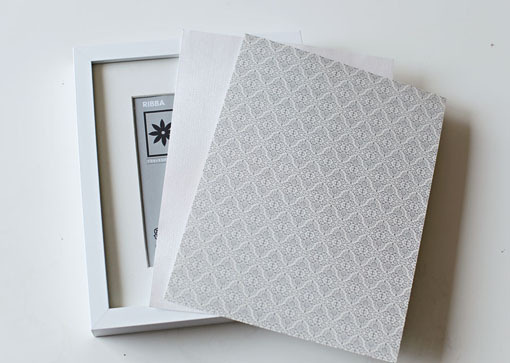 I used this $5 frame from Ikea. I looked good and I was on the right track but it wasn’t exactly what I was envisioning. I thought it needed some pattern to make it pop. I took a trip to Joann’s to find some glitter for a Christmas craft and saw all of this awesome card stock and scrapbooking papers! Jvee helped me narrow it down and we decided to mix and match texture with pattern and came up with this. 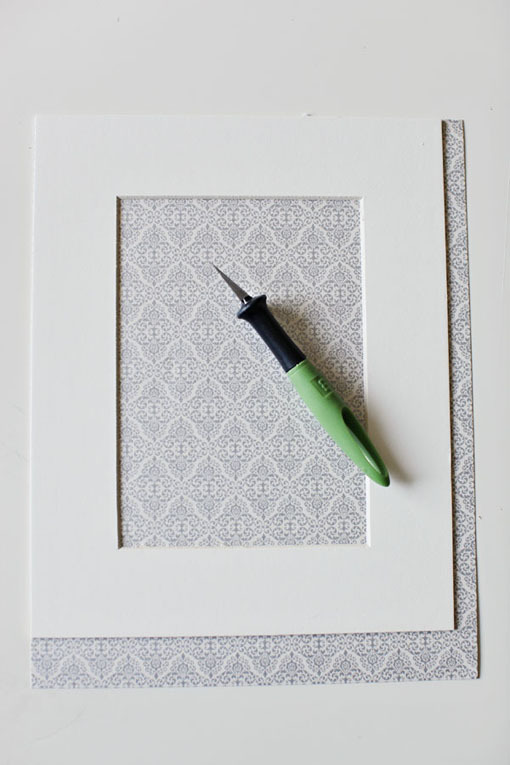 I took my exacto-knife and cut out the background paper to fit the frame. Make sure you cut on a cutting mat or another protective surface!! You don’t want to scratch or cut the surface you’re working on. I use my old crafting table for this. 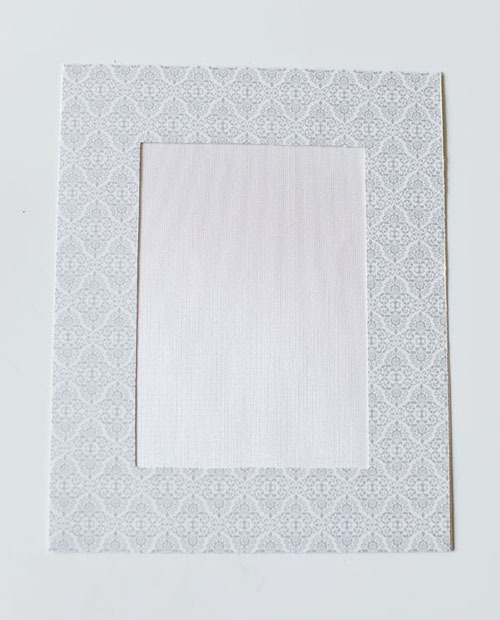 I then traced the patterned paper to the size of the boarder mat. 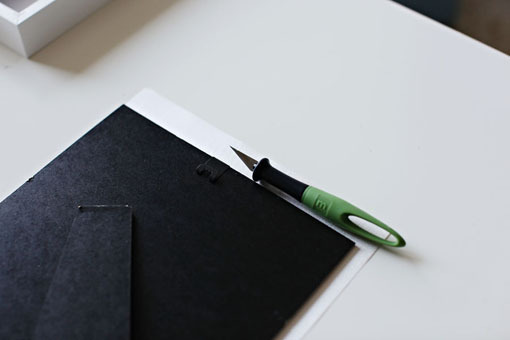 Check your paper to make sure everything is cut nicely and is how you want it. 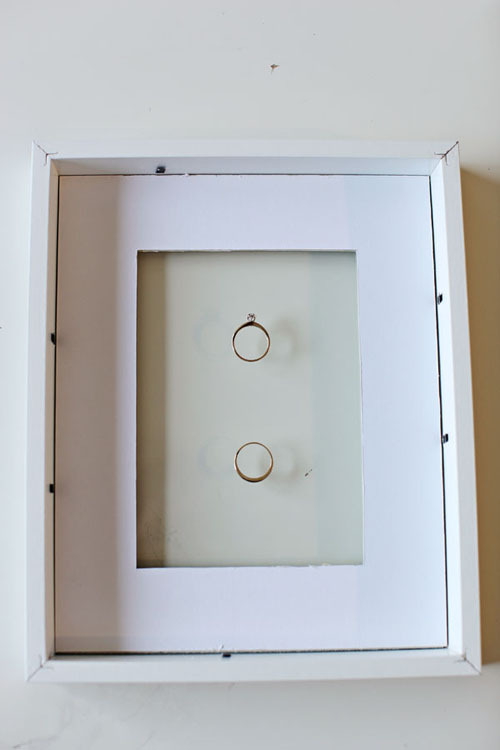 Lay the frame flat with the mat inside so you can place the rings where you want them. I left the thicker original mat behind the new patterned paper to give some added depth. I also added some extra scraps of cardboard to the back to make sure everything stayed tight in place with out having to adhere the rings to the paper using an adhesive. Here it is! 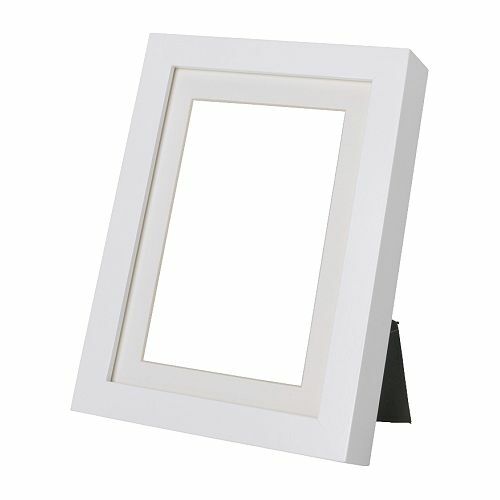 A unique and personal framed piece to display in my home. That is such a good idea! My coworker Josie told me about your blog and I just love it! I have a thrift shopping focused blog called Thrift and Shout! Nice to meet you! Can’t wait to read your blog! Thanks for stopping by. Nice to meet you too :)! I LOVE this… you’re so talented!